Welcome to my home! Exterior doors do often feels impersonal and boring, but we have the solution for it. 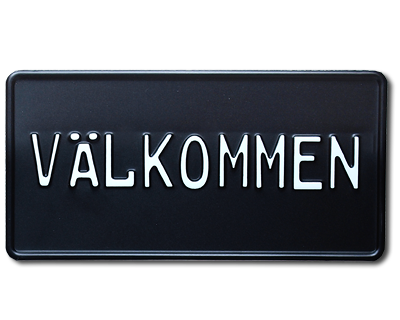 The glamorous houseplate Welcome is a suitable houseplate for almost every home. The plate is made of matte black aluminum with white embossed letterings. Standardsize 300 x 150 mm (US plate).